Not a proper part of the build but I did get some extra things arrive from Japan yesterday in the shape of the Hasagawa figures designed to go with the Falke. 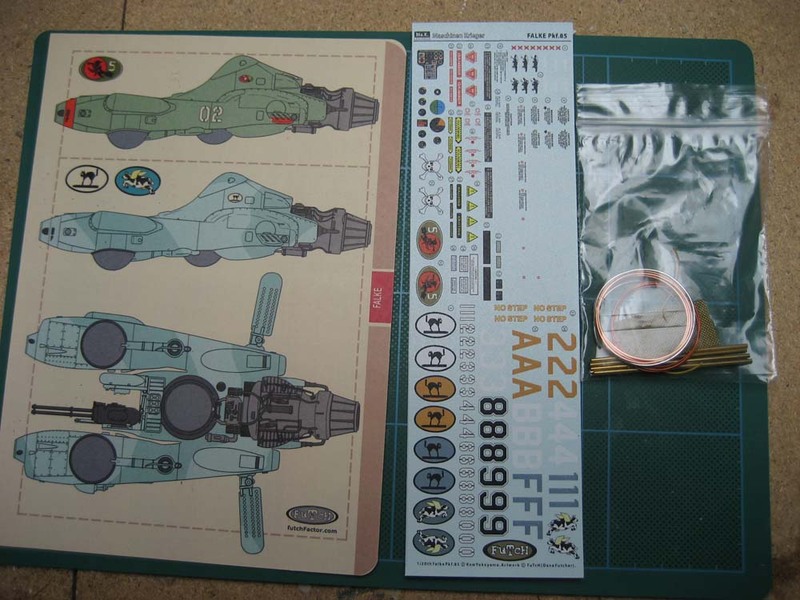 I hadn’t realised that the set came with an extra decal sheet for the Falke. So an unexpected bonus. 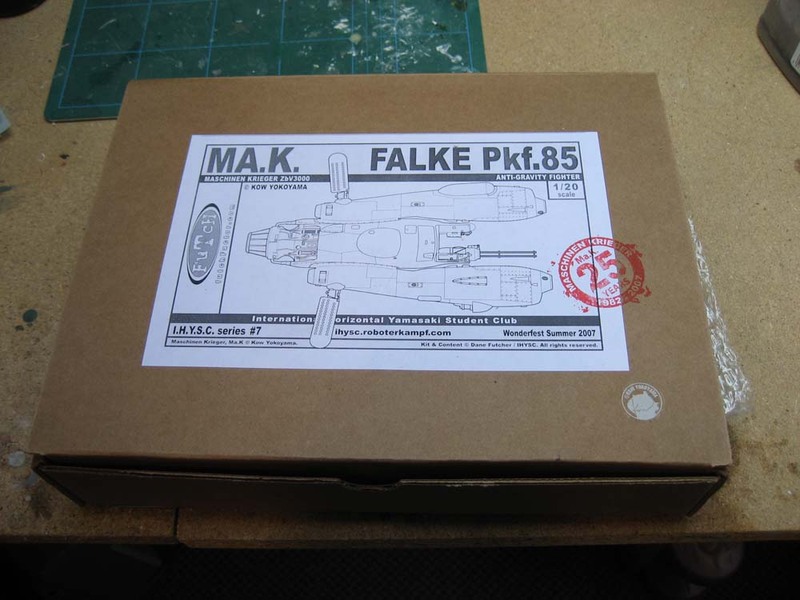 The Falke has always been one of my must have kits for Ma.K. 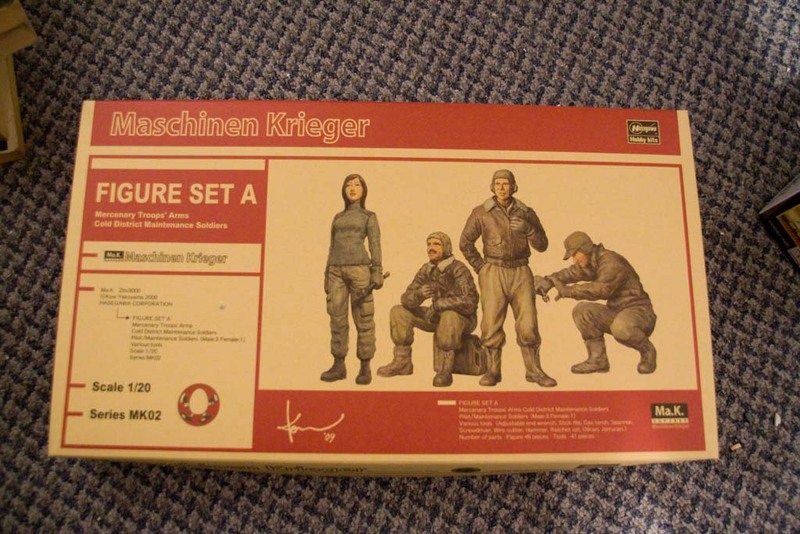 Unfortunately there hadn’t been a plastic kit released and the only option was the excellent resin kit produced by Futch. However, this was expensive and generally not something I would go for. Earlier this year it was announced that there would be a change to the way Ma.K kits are licensed and that production of the Futch Falke would stop. I decided to take the plunge and get one before it disappeared totally and no other option would be available. What we (or at least I) didn’t know was that just around the corner was an annoucement by Hasagawa that they would start to produce plastic kits and first on their list is the Falke. Typical! 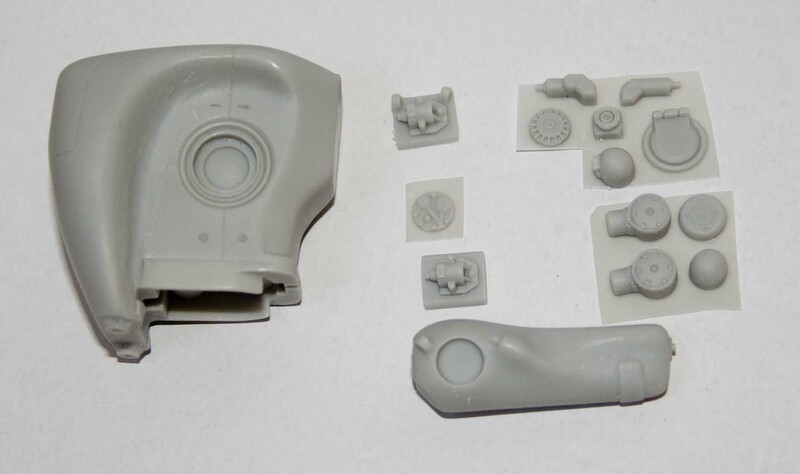 So although I have probably paid over the odds for the resin version, compared to the eventual cost of the plastic one, I do have an excellent kit which may well be more accurate and actually closer to the original Kow version because it was built in the same way from the same kits. One thing that I must mention is that when I went through the parts I came across a problem. The stablisers were both handed the same way, so it would be impossible to use them on opposite sides of the Falke. I contacted Futch about this and he sent a replacement pretty much instantly. And he was good enought to include a complete engine and another gattling gun as well. So I have some extras either for other builds or to add into a diorama setting. So kudos to Futch all round. 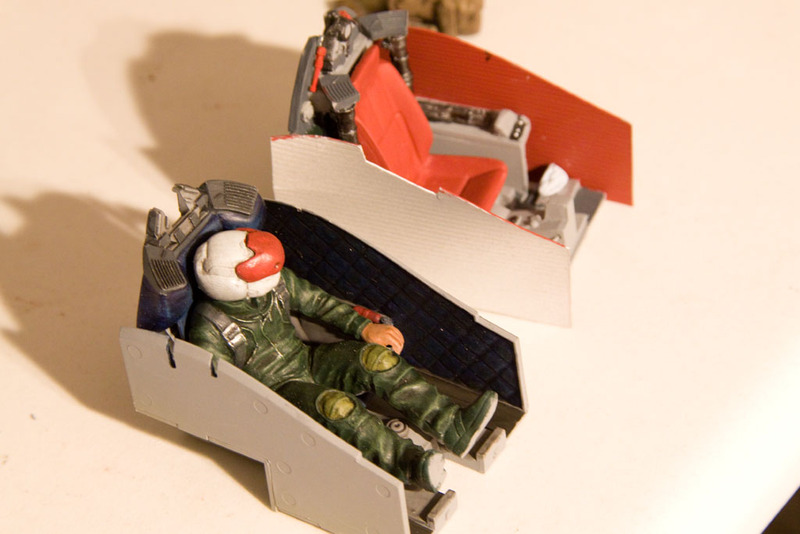 I started work on the cockpit area. 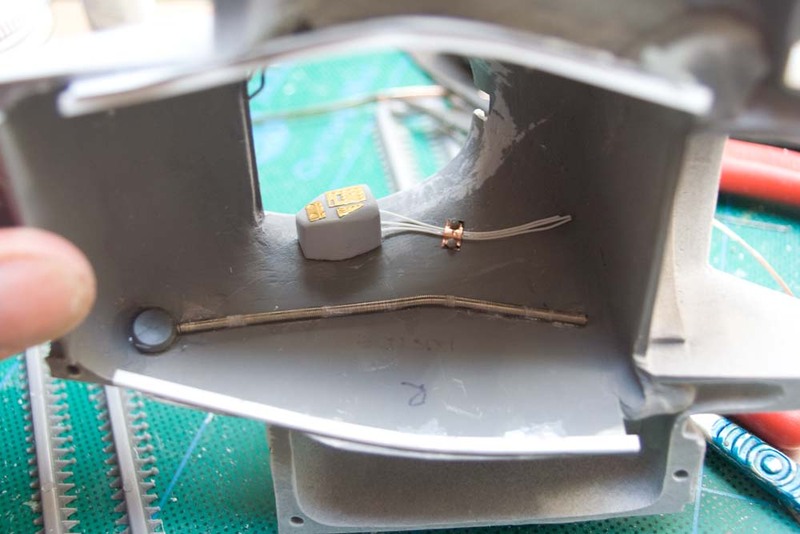 One thing that became apparent to me was that the cockpit area opens up into the fuselage and the big gapto the side is apparent when you look into the cockpit. So I installed some firewalls to section it off. 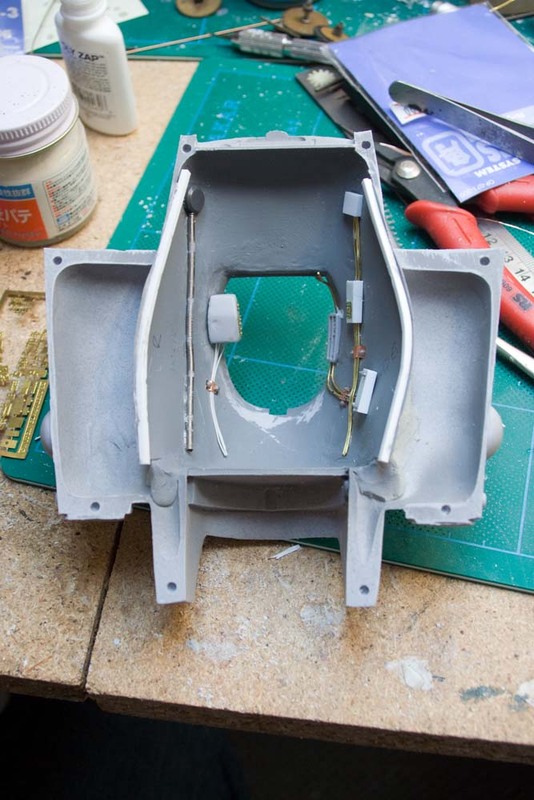 The little piece of square material is just to hid the point where it meets the base, as I will not be able to fill this in once the two halves are glued together because the seat needs to be in place at this point. 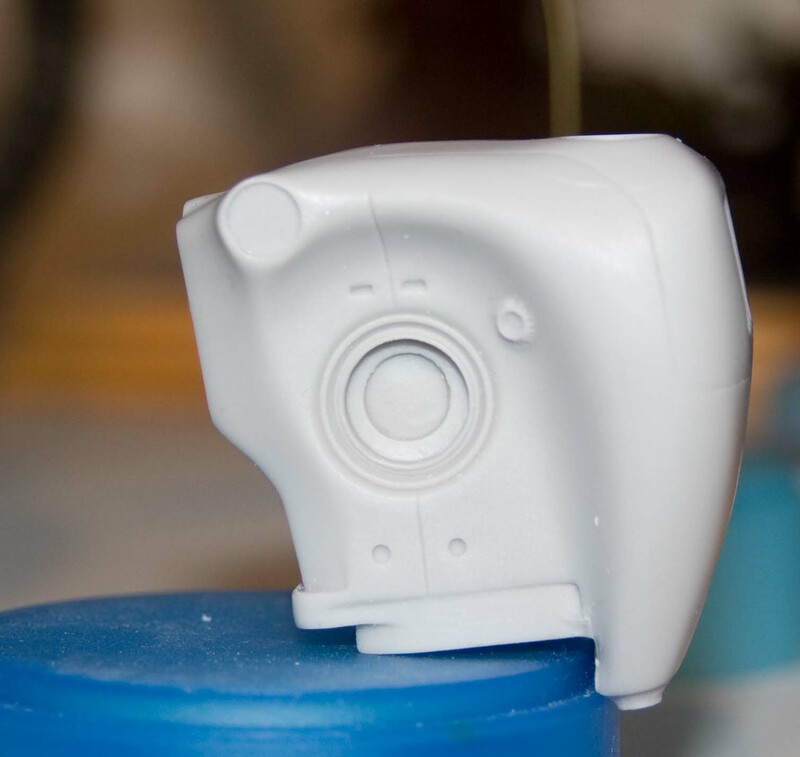 I installed the couple of detail pieces that come with the kit but also added a few more of my own invention. The cables have some boltdowns (some more to be added to the spring, but I think I’m going to add a second spring as well) and are glued into place. Also had a little play adding the plumbing to the engine. 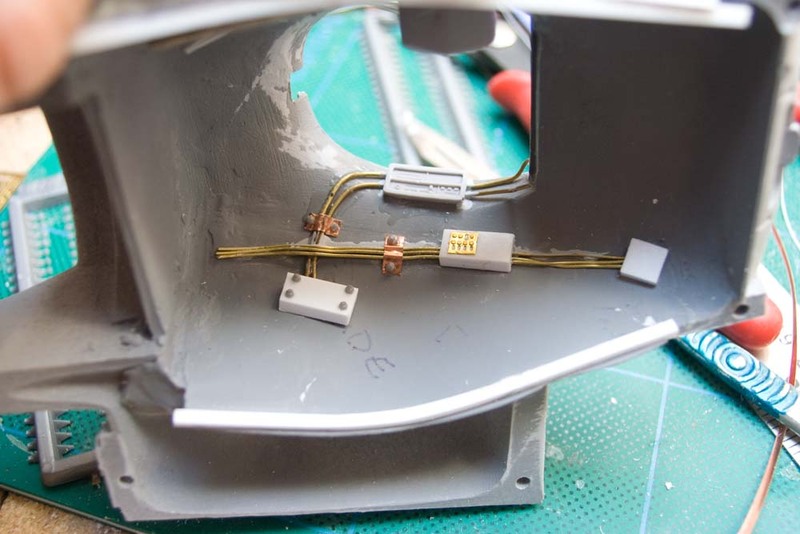 Lead solder works much easier than the supplied wire (which is very stiff) but it is a little thick. I’m not entirely happy with this and will be reworking. 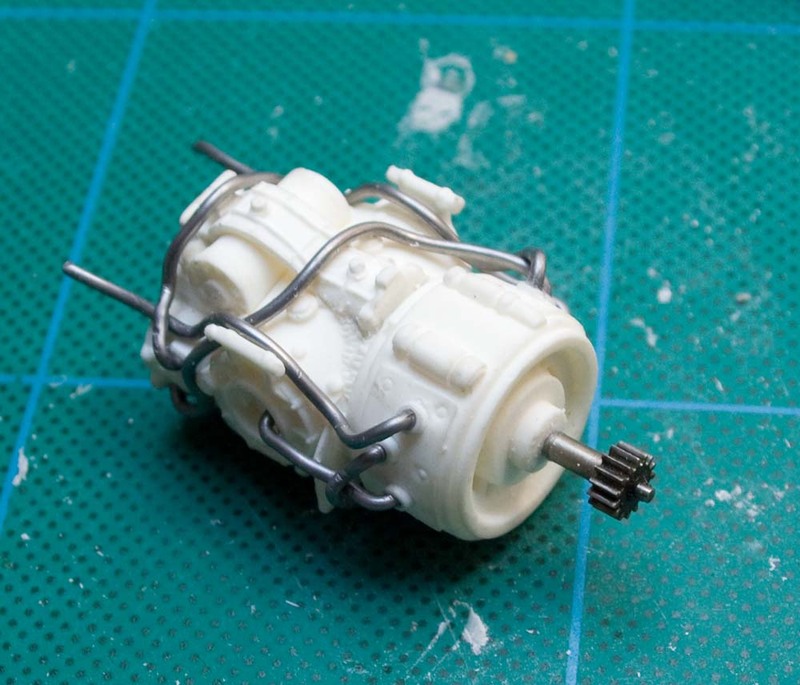 By the way this is the replacement engine, which is in a different resin and a very slightly different design. So I suspect it is could be from the first run of the kit. 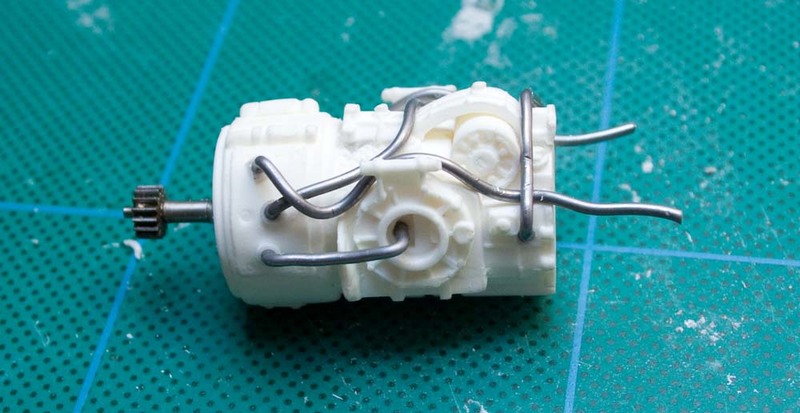 The cog is from something I took apart years ago and thought might be worth keeping. This engine will be on a crane or stand so I will need to also detail up the rear of it as well, which is currently plain. 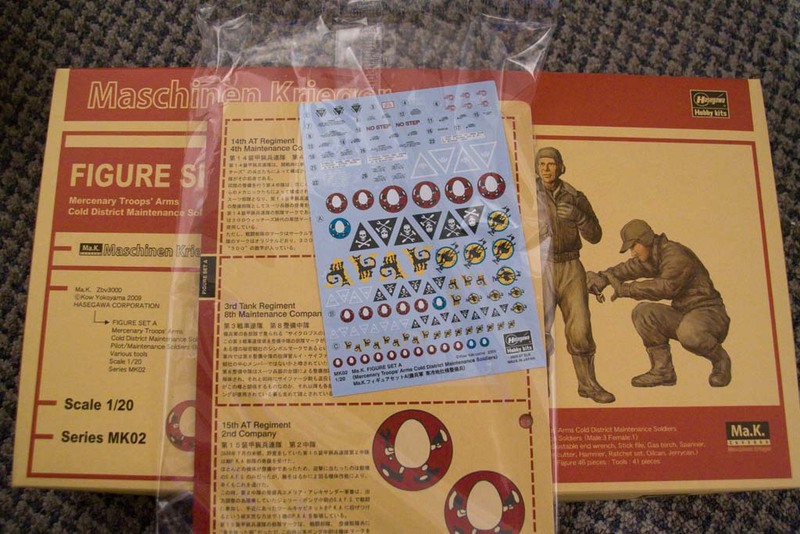 So as mentioned the Hasagawa kit came out not long afterwards. Both kits have sat for some time in my model room without anything happening to them, and inspired by the work of MangaMax I decided to pull both kits out and have another go. 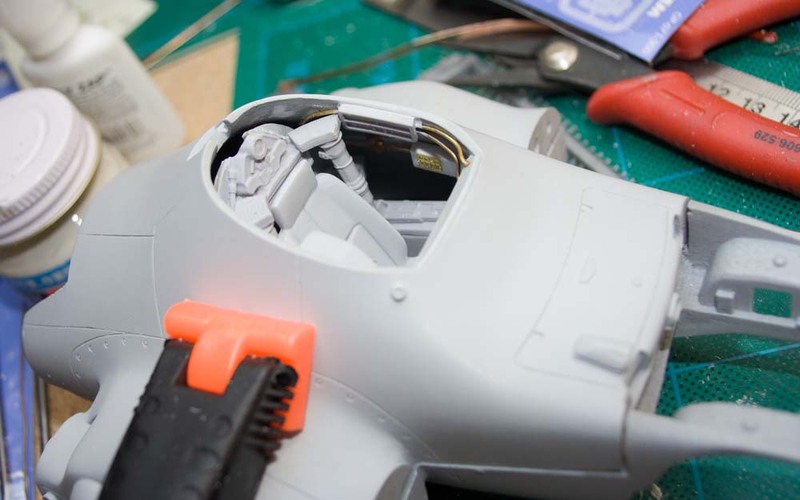 I started up with the plastic Hasagawa kit as I thought the plastic would be easier to work with than the resin. 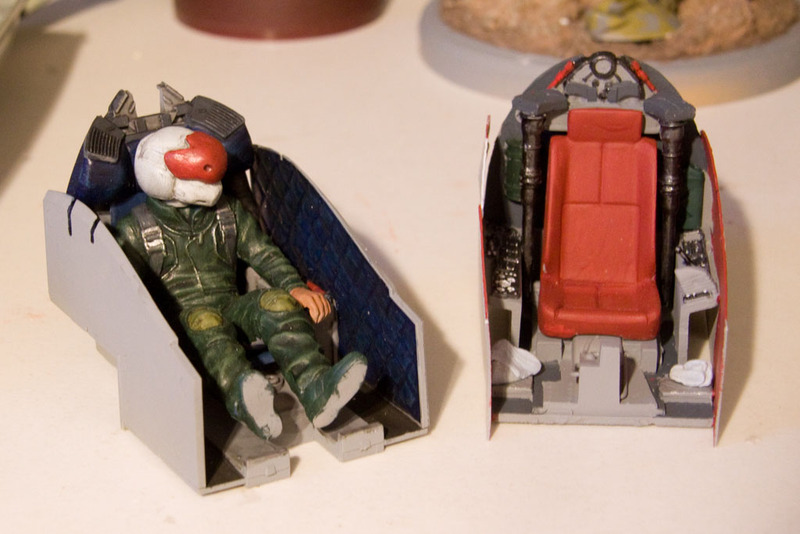 After just an hour or so the pilot and the cockpit area were assembled, primed and pretty much painted. So with some that momentum I turned to the resin one. I had assembled this previously as can be seen above. 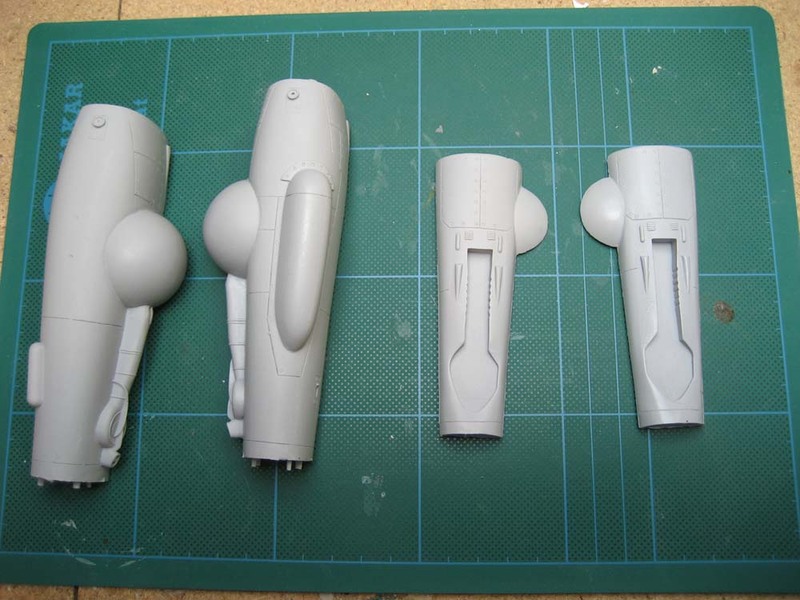 The firewalls of the Hasegawa kit were traced out and replicated in a ribbed plastic. These were test fitted and do a great job of hiding the interior. Wish I had thought of this previously. 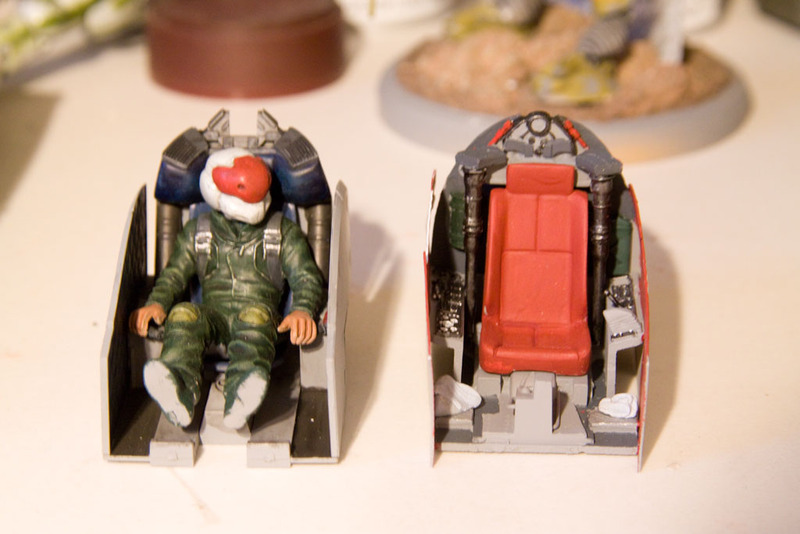 The resin cockpit still needs a wash with oils to tone it down and blend it in. 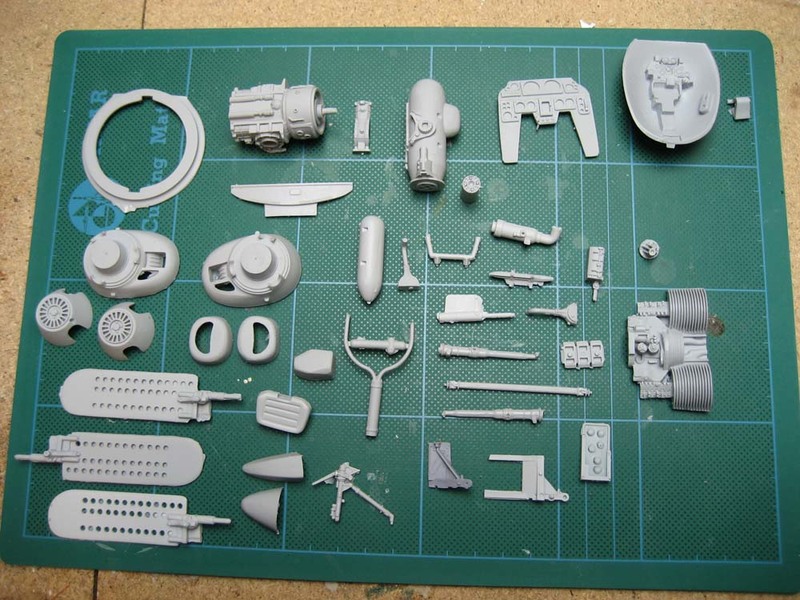 Got my Hardboiled AFS conversion kit yesterday from Francesco Benedettini on the MaK Forum. 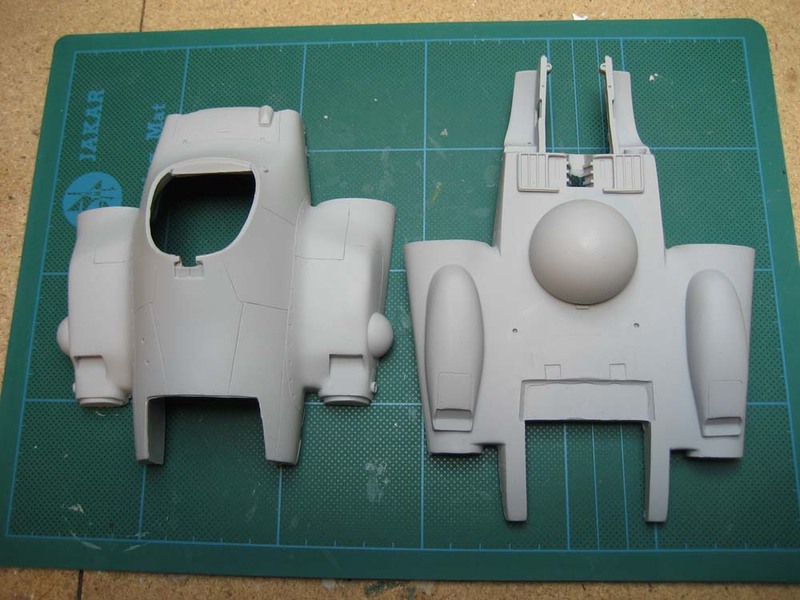 Amazing casting and looks like it will be a really nice build. 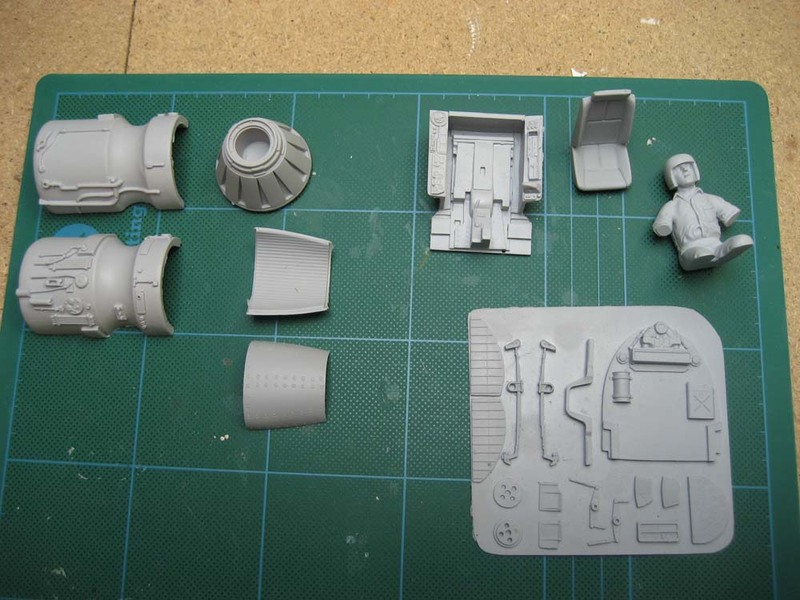 Not your usual resin conversion set where you end up remaking half the bits and using a gallon of putty to make the rest fit. Only 20 euros including delivery which I thought was excellent value as well. Your can see Francesco’s own build of this on the MaK forum. If I can do half as good a job as him I will be very happy. Here are a few shots to show what you get. There is a new torso and a new gun. 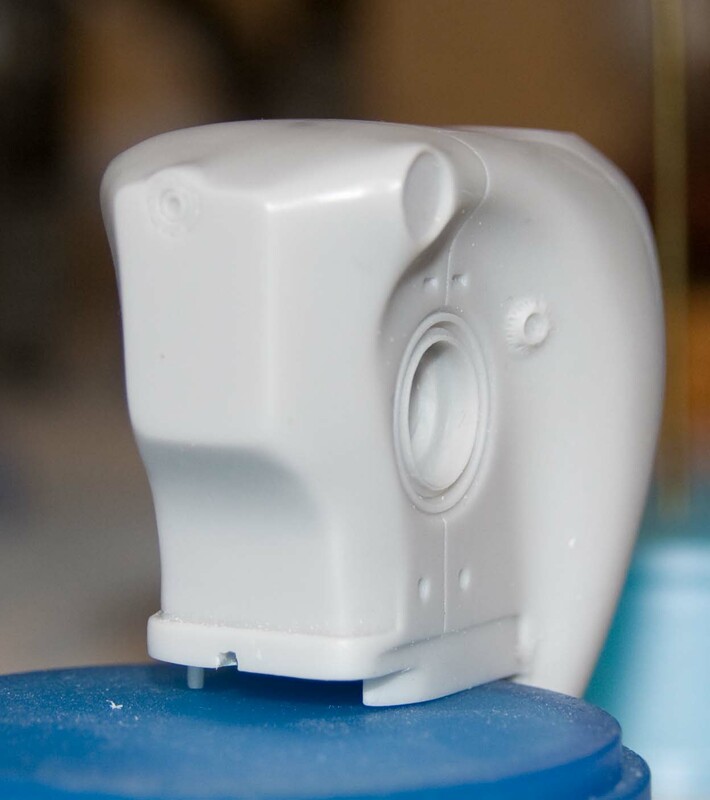 In addition there are several smaller pieces, which are cast onto a very thin wafer. As you can see the casting is just superb. No flash, and pin sharp.